There are so many books on so many aspects of the history of the United States, offering such a wide variety of interpretations, that students, teachers, scholars, and librarians often need help and advice on how to find what they want. 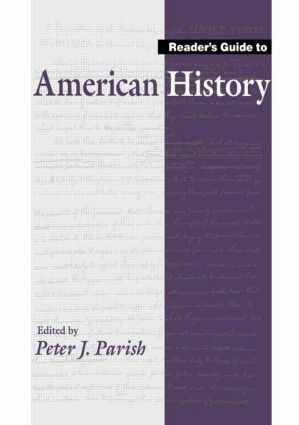 The Reader's Guide to American History is designed to meet that need by adopting a new and constructive approach to the appreciation of this rich historiography. Each of the 600 entries on topics in political, social and economic history describes and evaluates some 6 to 12 books on the topic, providing guidance to the reader on everything from broad surveys and interpretive works to specialized monographs. The entries are devoted to events and individuals, as well as broader themes, and are written by a team of well over 200 contributors, all scholars of American history.